While some people search to find information to create a new Gmail account many others look to find tutorial on how to delete a Gmail account. A few of them told that they noticed suspicious activity with the account and since the private information could be revealed in case it gets hack, they want to delete the account completely and open a new one. So the reasons of deleting a Gmail account may vary from person to person. In today's article I will be sharing step-wise method to delete a gmail account. I will try to make it as simple as possible with the help of pictures which I have taken while demonstrating the method. 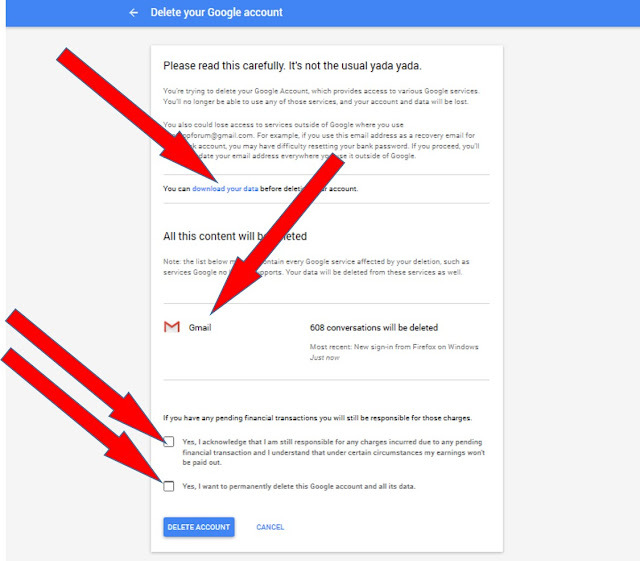 I actually created a new Gmail account and deleted it to show the exact step-wise method so that it is easily understandable. If you have accidentally landed to this article directly and instead want to see the tutorial to create a Gmail account or Gmail.com sign in, you can search through this blog. What I will lose if I delete my gmail account? Once the account is deleted, the companies or the people with whom you have shared this email account, will not be able to contact you anymore and the email they will send to your email will bounce back. It may result in monetary or non-monetary loss that you can't afford to incur. So before deciding to delete a Gmail account, you need to consider all these factors because once deleted, nothing can be done. Since the email account is deleted, nobody will be able to contact you via this email. All your email will be lost. All the associated products such as uploaded photos, blogspot blogs, Google plus account will be deleted. You will not be able to recover it once deleted. All the data saved in G-drive will be lost. ...and every single service or product associated with this gmail account will be lost. Since ALL THE DATA will be lost just after hitting the delete button, it is advisable to think twice before taking this decision. 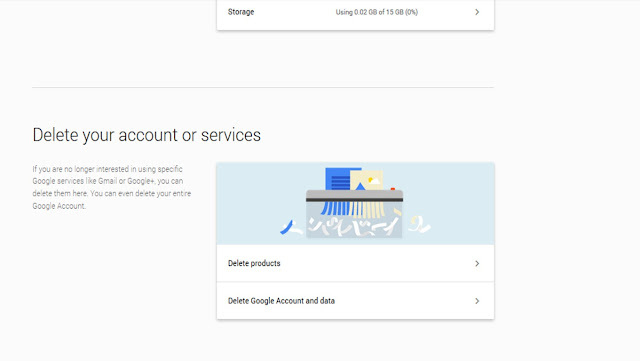 It doesn't harm to keep a Gmail account active but if you have valid reasons to really delete it, you may backup your data before deciding to delete it. If you have got your mind manipulated by people telling there are other better options, I would like to tell that there is no BEST FREE email service provider other than Gmail ! This is the most secured, simple to use, advanced email service comes with several other associated services absolutely free. With G-drive you can have virtual data storage application to save your data that you think may required to be accessed from different places other than your home PC. This is not all, unlike other free email service providers, you will not be able to send files/data upto 25 GB as attachment. Others allow maximum of 5-10 MB data to be sent as an attachment. The user interface and the compose box that Gmail provides to its users is much better than others and I am telling this based on my experience as I've used almost all major free email service providers. So if you have really decided to delete a gmail account, below is the complete tutorial with pictures that will make the process super simple. 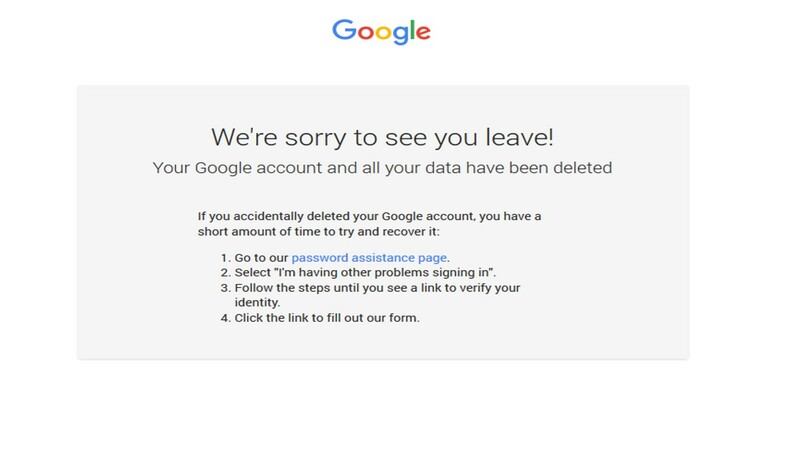 (REMINDER : You will lose all the data once you delete gmail account). Step:3 - Once you log in to your account, click on the round circle on the top right corner as shown in below figure and hit MY ACCOUNT button. Step:4 - After hitting Account button, you will be taken to your account where you can manage all your account activities such a changing a password, adding a phone number and other personal info etc. Under "Account Preference" column, hit "Delete your account or Services". 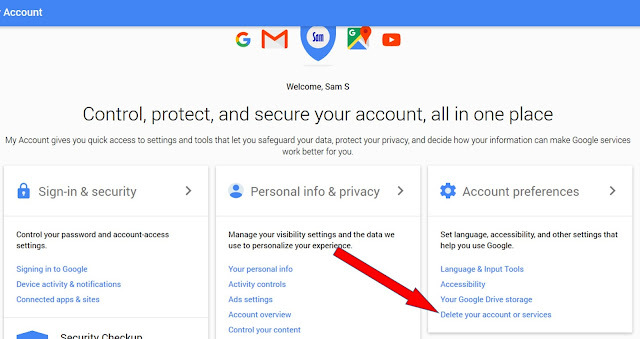 Step:5- In the next step, you will be asked to chose one either "Delete Products" Or "Delete Google Account and Data". 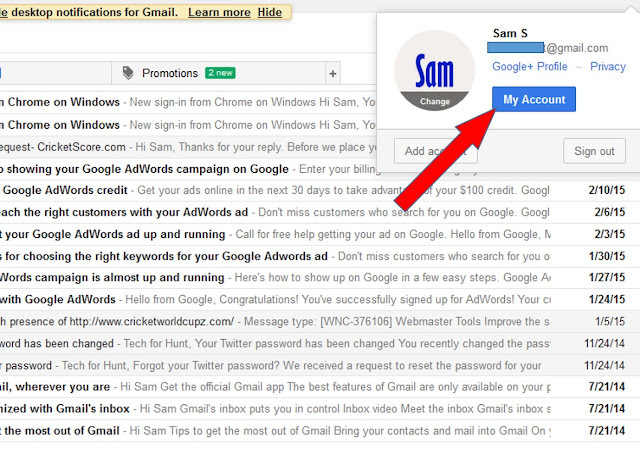 Click the second option since you have decided to delete a Gmail account. Step:6: -The next step will be the actual decision making step. In this, you will be actually asked to hit the delete button. Before you hit the delete button, it is advisable to click the link "download your data" to download the important data which you think could be required in future. As shown in below image, 608 email in the account will be gone once the account is deleted. Email is the only service associated with this account that will be lost with deletion of this account. If there were other products/services such as blogspot blog, photos all would have been listed below and be deleted. 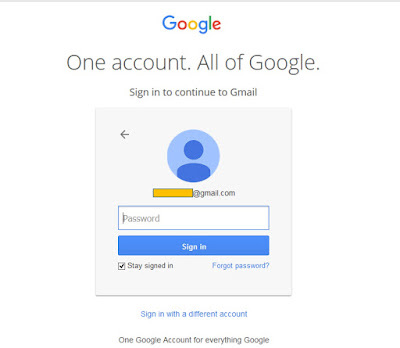 Step:7- You have deleted your Gmail account and it will not be accessible anymore. To create a sense of fear of not being able to access the email at all once the Gmail account is deleted, I mentioned the deleted account will never be recovered which is not true. In some cases, it was found the people have mistakenly deleted their Gmail account and want to recover it. As showin in above image, one can click "password assistance page" to recover the lost email account. Google still gives a change to recover accidentally deleted account in simple steps. I have written separate tutorial on this topic. So if you are among these people, browse through this blog to find that article. Please share it with your friends on facebook, twitter and other social media profiles in case you like it.